I’m following a lunar calendar. Visit me at http://heejinryu.com as always, and choose among wedding portfolio, blog, and baby portraits. All of the sites are brand-new so be sure to check all of them and leave me a message! This is how the main homepage looks. Also, notice the ‘IMAGE GALLERIES’ button on the top of this blog. You can check out my portfolio without even visiting the website! But the website is prettier, sleeker, and waaaaaaay cooler! 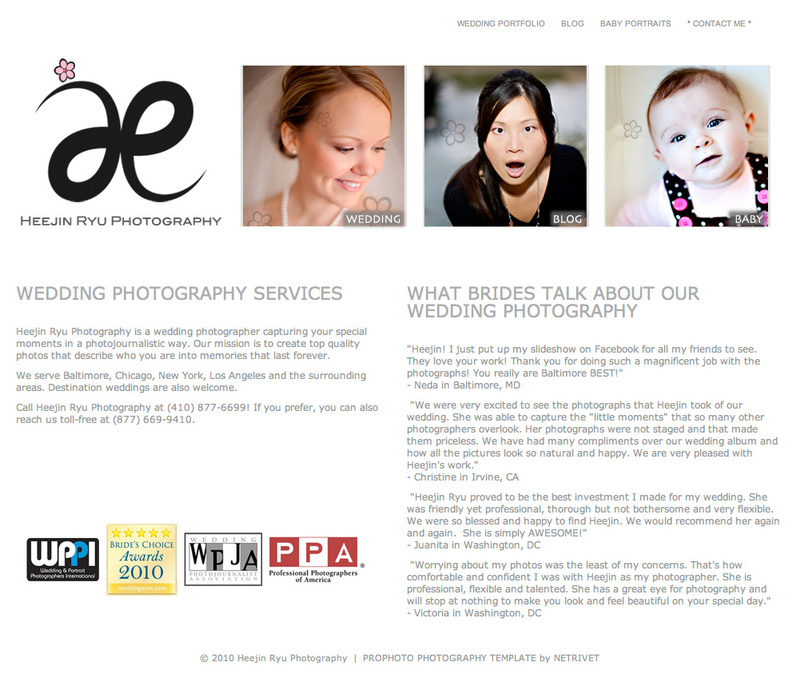 Here’s the direct link to my new Weddng Photography Website. Also, if you are a mom or dad, check out the Baby Portrait Portfolio. The site is adorable just as the babies in the pictures!